1745 PIETER VAN MUSSCHENBROEK, of Leyden, Holland. 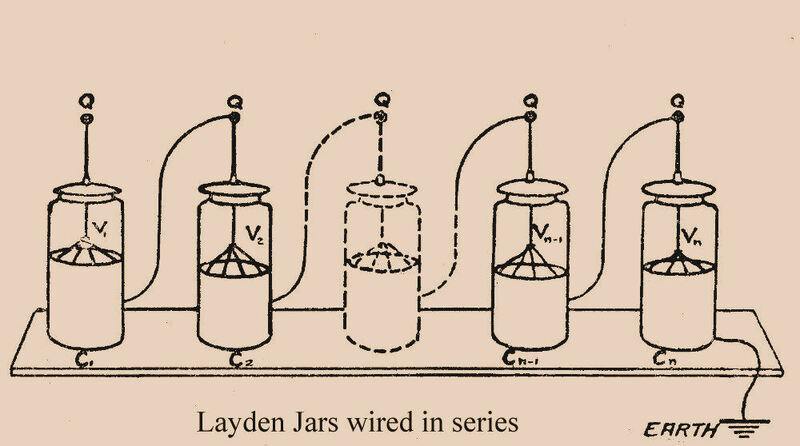 Invented the Leyden Jar (an early form of capacitor) after accidentally discovering it had interesting characteristics. It must be remembered that the scientists of this period were still playing around with frictional apparatus, since no other means of generating electricity had been discovered. It occurred to Musschenbroek that electricity might be able to be bottled or, rather, confined within a glass bottle so that it could be used at some other time. Whether the idea was originally his is hard to determine, since histories vary. In any case, the idea was that if water were placed within a bottle and then charged by means of a frictional electric generator, the charge would remain in the corked bottle because glass is a good insulator. Fate took a hand the day Musschenbroek was conducting the experiment. He was turning the crank of his static electric generator, whilst his assistant, Cunaeus, was holding the jar with one hand and was, with the other trying to draw off sparks from a gun barrel. The circuit consisted of the gun barrel connected to one side of the friction electric generator with the other to a brass wire, which entered the jar, partly filled with water. Had Cunaeus placed the jar on the table, nothing would have happened, and the capacitor might not have been heard of today. As it was, his hand formed one plate, the liquid in the jar the other plate and, while Musschenbroek cranked the machine the improvised capacitor eventually charged up – then Cunaeus must have thought his world had come to an end! The tremendous spark that resulted caused the whole charge to pass through his body – the records have it that Cunaeus was incapacitated for two full days. 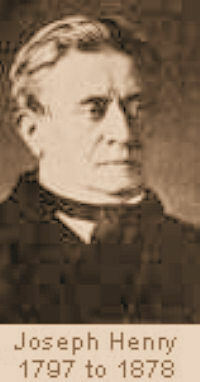 Nollet, another scientist of that period, heard of the experiment and, unwilling to be the subject himself, got together approximately 200 soldiers, had them all join hands in a large circle, and then, in much the same manner as Musschenbroek and Cunaeus had done, sent a severe charge through them. The fact that they all instantly jumped with vigour pleased him no end, and gave him much to marvel at. Naturally both Musschenbroek and Nollet tried to figure out what caused the effect, and it wasn’t for some time that a definite conclusion was arrived at. They found that when they placed the jar of water on the table, it would refuse to be electrified (since the hand or other plate of the capacitor was missing) and that, only when the hand was placed around the jar could the phenomenon be repeated. But volunteers for the experiment were probably lacking; so eventually it was discovered that placing the jar over a metal plate seemed to do just as well. 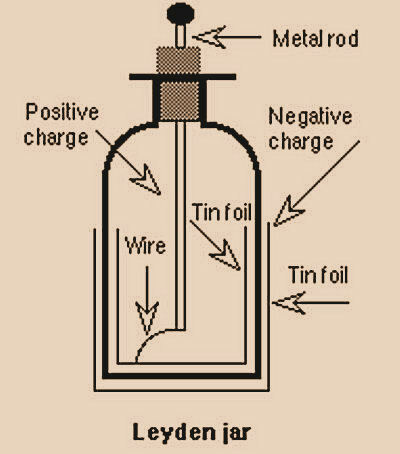 Later on, an outside tinfoil covering was substituted, with improved results, and for many years this was the construction of Leyden jars – the grandfather of all of today’s capacitors (it is interesting to note that even up until the 1930’s the unit of capacity was commonly referred to as a “jar”). 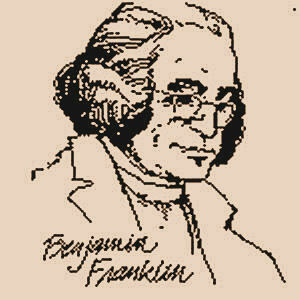 1751 BENJAMIN FRANKLIN, American statesman, philosopher and scientist. While others had previously noted the similarity between laboratory sparks and lightning, Franklin was the first to design an experiment, which conclusively proved the electrical nature of lightning. The experiment used a kite attached by a damp string and flown into a thunderstorm, the bottom end of the string having a metal key attached from which sparks jumped to an earth point. Franklin also involved himself in a number of other scientific endeavours that are probably less well known than his work with lightning. Some of his deductions resulting from these have played an important role in the development of electricity since he employed the same calm logic and methodical precision which made him famous as a statesman and philosopher. Franklin established the law of conservation of electric charge; that there is a positive and negative type of electricity; that lightning and thunder are related to the crashing and sparks obtained when electrically charged bodies become discharged. He invented the lightning rod, to prevent the great damage done to property by lightning. His theories led to his follower’s discovery that air may be substituted as a dielectric in place of glass in the construction of a Leyden jar, as well as the law: “like charges repel, unlike charges attract”. 1780 ALOYSIUS GALVANI, Italian professor of anatomy. Up to his time only two means of obtaining electricity were known; one by means of the friction machine, the other from the clouds, as discovered by Franklin. Galvani, by accident, noticed that an electrical charge applied to a dead frog’s nerve would make it kick and struggle as if it were still alive. Continuing his experiments along this line, he found that a number of frogs he had prepared and suspended along his balcony would respond to lightning flashes in similar manner and that, even before the storm, if a frog’s legs happened to touch the balcony, the twitching muscular movement would occur. Later on he determined that any two metals joined together, so that one touched a leg muscle and the other a nerve, would cause the muscular twitching. Galvani then reasoned that the muscle was akin to a Leyden jar, and the electricity is the fluid, which made a circuit from the muscle to the nerve, then through the metallic conductors back to the muscle again. He called the “fluid” animal “electricity”; but true galvanic electricity, as caused by two dissimilar metals in contact, was not recognised by Galvani who theorised that the electricity originated in the frog’s leg. 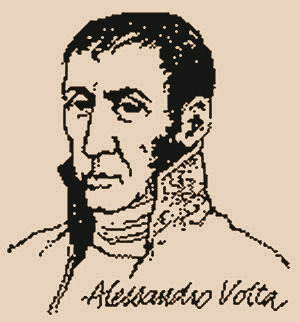 1790 ALESSANDRO VOLTA, Italian professor. Shortly after Galavni’s exp eriments, Volta devised what became known as the “voltaic pile”, Consisting of a pile of alternate zinc and copper discs (each pair being separated by a moistened pasteboard [thick paper] disc termed a “couple”); so that by using quite a large pile of discs, a distinct shock was obtained when the finger tips were placed on each end of the pile. The disadvantages of this arrangement were that, when the pasteboard discs dried out the voltage diminished. Consequently Volta devised copper and zinc strips, joined at the ends and placed in separate jars containing a weak acid solution. Now we have the first real battery – a unit destined to be of great help to future scientists and inventors in their explorations into the realm of electricity. In honour of this discovery, Volta’s name was immortalised when, later on, the volt was the name given to the unit of electrical force. 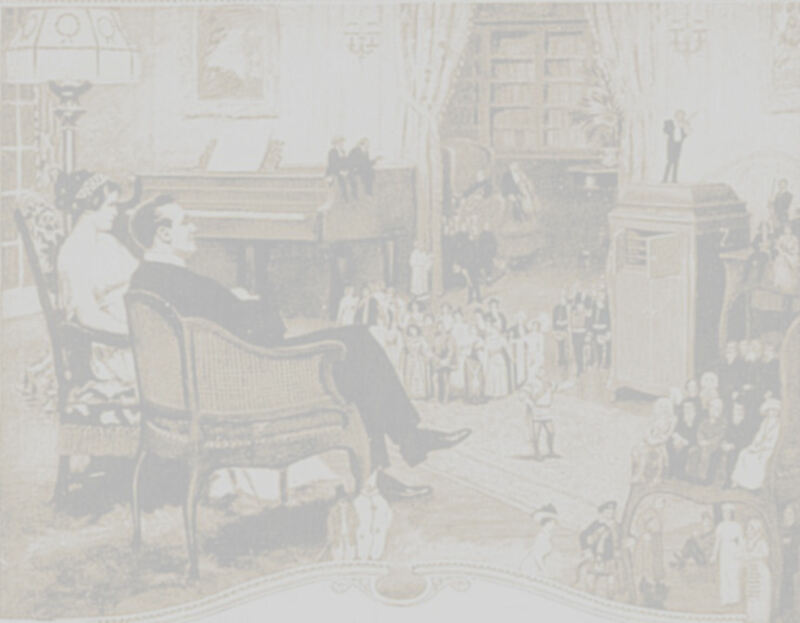 1800 NICHOLSON AND CARLISLE, English experimenters. Set up a voltaic pile and showed that water could be decomposed into its elements, hydrogen and oxygen, by passing an electric current through it. Known now as electrolysis of water. 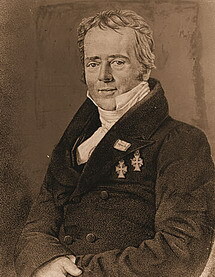 1820 HANS CHRISTIAN OERSTED, Dane and Professor at Copenhagen. For thirteen years Professor Oersted had experimented with electricity and its effects on a compass needle, having read in Benjimin Franklin’s report that there was some effect and relation between the two. While lecturing to a class, Oersted had his attention called to the wavering of a compass needle, whenever a switch was thrown which connected a voltaic pile. After the students had departed, he investigated the phenomenon – finally ascertaining that, when the compass needle was placed along the wire, there was a deflection with the needle coming to a stationary position across the wire. When the compass was placed above the wire the needle turned one way and when placed under it turned the other way. This was the basis for determining magnetic lines of force, and without a doubt the foundation for measuring and indicating electrical instruments, which use analogue meters, for the next 150 years. 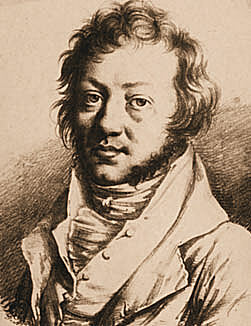 In the same year, history tells us that one week after Oersted made his discovery, Andre Marie Ampere (shown below), French scientist, made the important discovery that two parallel wires carrying an electric current, but free to move, attracted each other if the currents traveled in the same direction and repelled each other if the currents were opposite. Also he determined not only that a wire carrying an electric current would attract a magnetized needle, but the needle would also attract the wire. 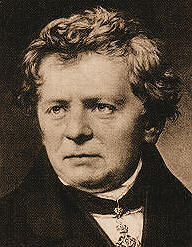 Today we find the unit of current, the ampere, named in his honor. Likewise Oersted has had the unit of magnetizing force name in his honor. 1826 GEORGE SIMON OHM, Bavaria. His outstanding accomplishment is the law, which now bears his name: “A current flowing in any closed circuit is proportional to the force or voltage and inversely proportional to the resistance in the circuit”. Today we express Ohm’s Law simply by mathematical means, viz., I=E/R. 1831 JOSEPH HENRY, American physicist, improved the electromagnet (developed by Argo in 1820) by using silk covered wire, which allowed the use of many layers of turns. This technique allowed him to make coil-magnets large enough to lift several pounds. The unit of inductance, the henry, is named after him.